Do you have to keep restarting and rebooting your android phone all the time? Do you always complain about Android security? And do you hope to protect your privacy? Download 360 Security Lite now, your phone will perform faster, safer, smoother and quicker! 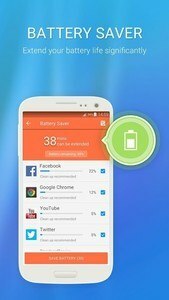 360 Security Lite is the only all-in-one Android optimizer，speed booster, Battery saver and antivirus app that optimizes your background apps, manages the memory space, cleans junk(cache) files and extends your battery life, while keeping your device safe from virus and Trojans. 1.Exclusive Booster: Analyzed over 99% of phones in the world with < 1GB of memory one by one and speed them up to be just as fast as they were new, which is helpful for boosting android performance. 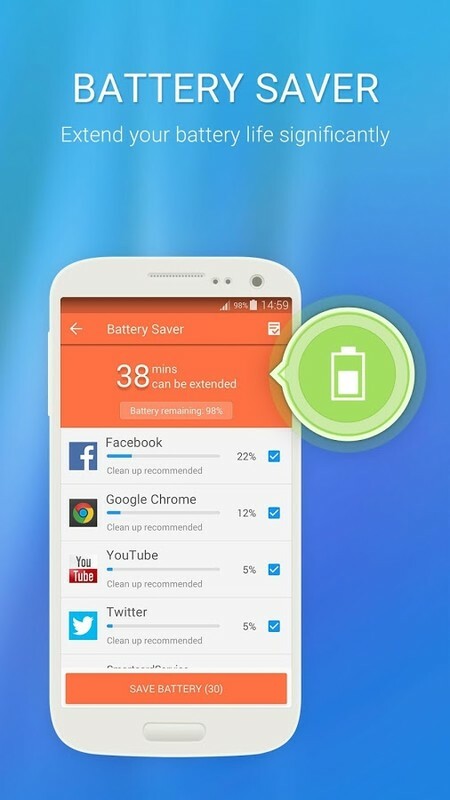 2.Intelligent battery saver: In order to prolong Android Battery Life, we analyzed tens of thousands of apps in source code level to identify and shut down power-hungry apps and extend the duration of your phone battery by more than 40%. In other words, it makes battery drain slower. 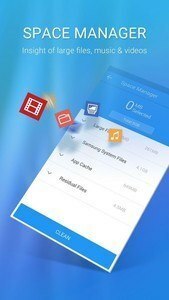 1.Junk File Cleaner: Lack of space for new photos, new music, or new apps? Clean up and boost your phone now! 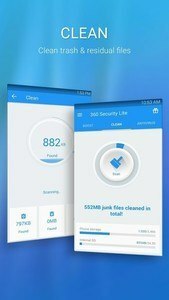 360 Security Lite can help you remove app caches or clean trash files with its One Tap Clean feature. 1. Intelligent Cloud Scan and Antivirus System: An innovative QVS + Cloud engine, which won first place award in AV-TEST evaluation for seven years in a row, and caused 360 security Lite to be the best privacy guard all over the world. 2. 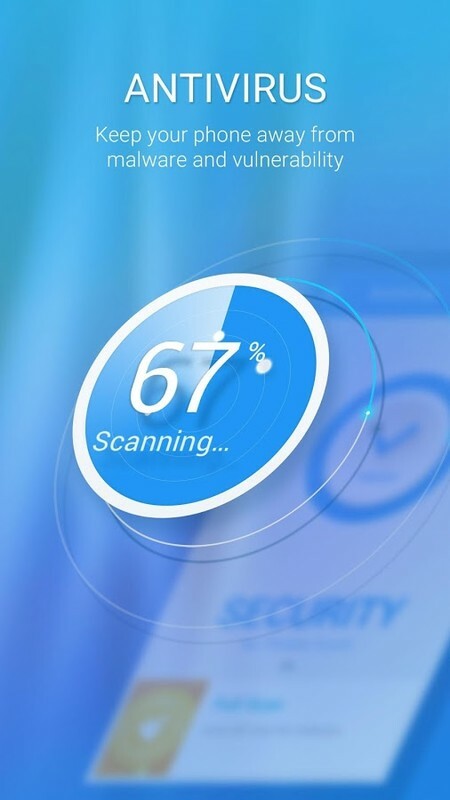 Multi-level Real-time Protection: Scan newly installed apps, new updates and file system to protect your mobile security in real time which also could hide your private messages.